What do you get when you combine creative appliqué techniques with leftover fabric scraps? A whole new style of crafting. More than 30 fun projects are provided, with easy-to-follow instructions, patterns and templates. 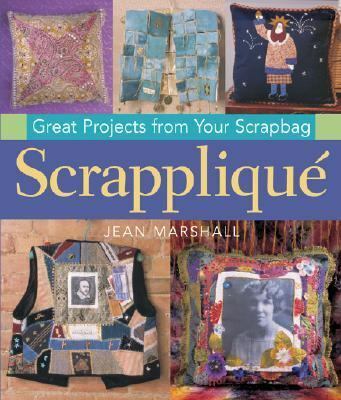 Color photographs show the finished pieces, including a charming "old cat" rag doll, patchwork mini-quilt, beautiful Moroccan-style vest, and more.Marshall, Jean is the author of 'Scrapplique Great Projects from Your Scrapbag', published 0008 under ISBN 9781402713651 and ISBN 1402713657.